To access the Leven Canyon Reserve campground, travel south from Nietta until you find a fork in the road. 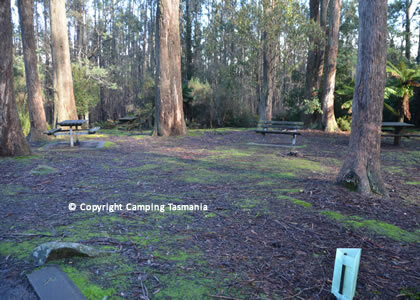 Turn right onto C128 and travel app 9 kilometres where you will come across this grassed reserve. This is a very nice, peaceful location with very basic, but good facilities. 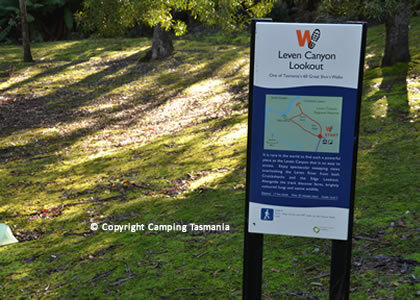 The Leven Canyon near Ulverstone on the North West Coast of Tasmania is a popular place for day visitors, with walking tracks and picnic areas. The lookout platform provides visitors to this area with panoramic views of the surrounding countryside. The Black Bluff Mountain, at some 1349 metres high, is an awesome sight with the Black range running north south with the bluff on the northern end. 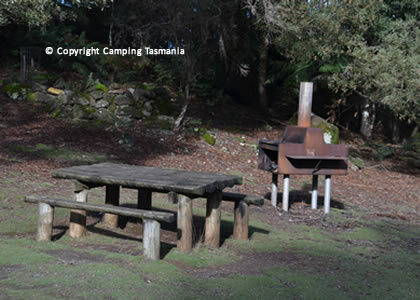 The parking area here is excellent and the grassy camping ground and picnic area, set amongst the trees, has small fire places and tables spread around. There is an undercover eating area and flushing toilets. The campground at Leven Canyon is one of the better free campgrounds you will find. 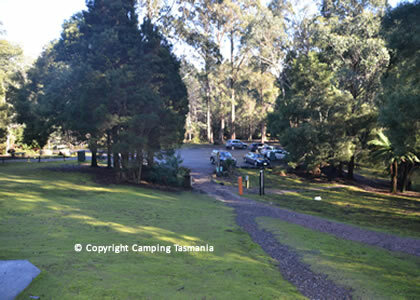 It is well located away from the main carpark and away from the main toilet block. 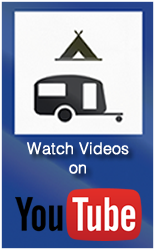 This site is best suited to tents. 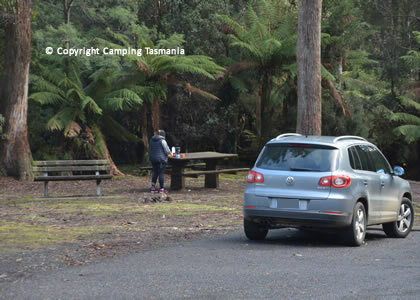 The Leven Canyon Reserve offers good parking with the grassy campsites located amongst the trees. 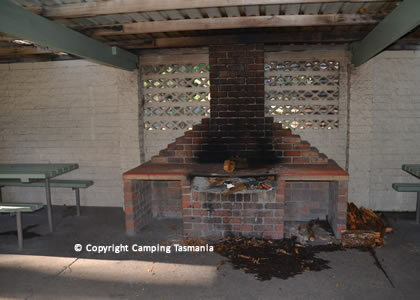 This campground has flushing toilets, fire places, picnic tables and a covered eating area. 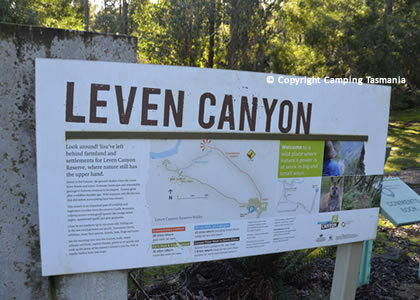 A popular attraction at Leven Canyon for campers and day visitors is a 1.2km bushwalk, that will take you app. 45-minutes. The track has almost 700 steps, and is steep in parts. 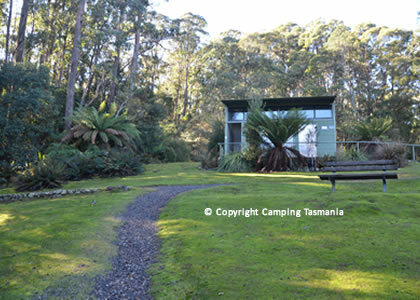 Note also that weather conditions that change quickly in Tasmania so always check the weather conditions before bushwalking. Leven Canyon Reserve. 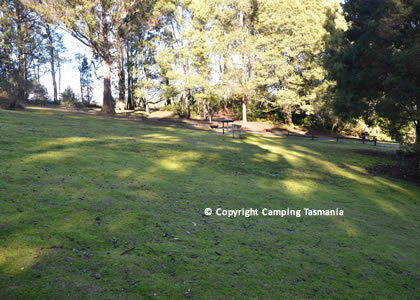 Located 42 km from Ulverstone and has become a popular tourist spot with interesting and easily accessible bushwalks, picnic and barbeque facilities and views down the Leven Canyon. It takes app. 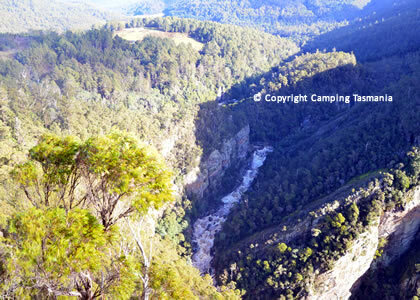 10 hours to walk through the Leven Canyon Gorge.